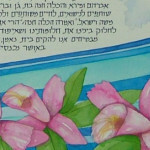 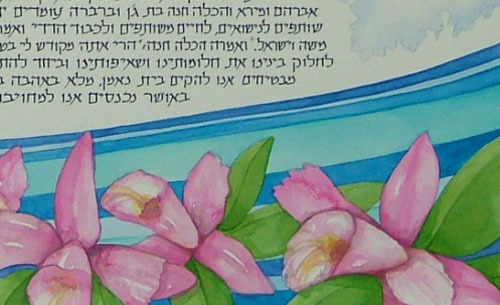 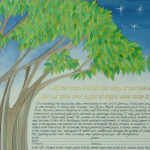 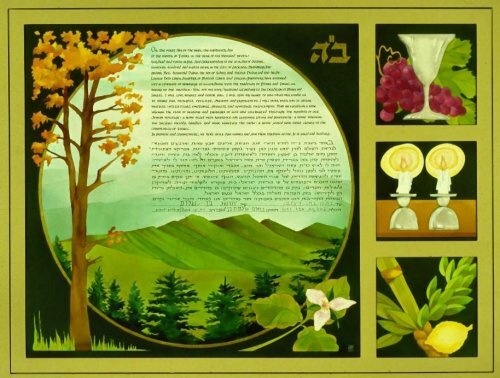 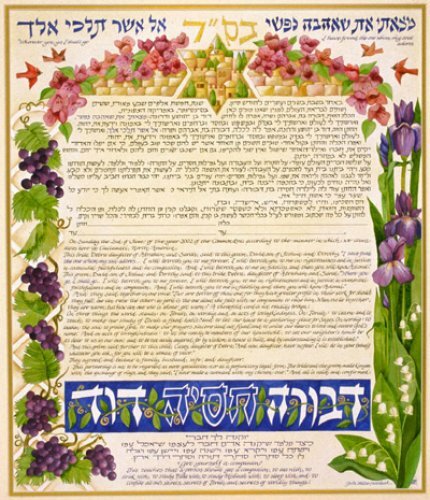 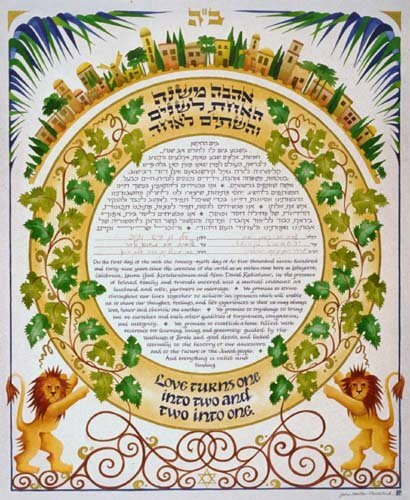 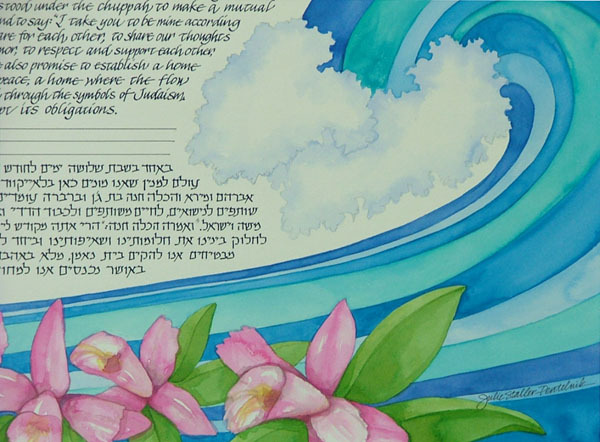 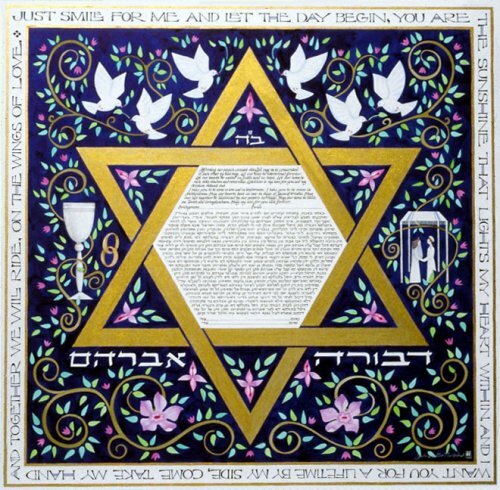 This Ketubah was created for a couple who planned a destination wedding in Florida. 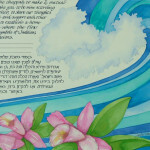 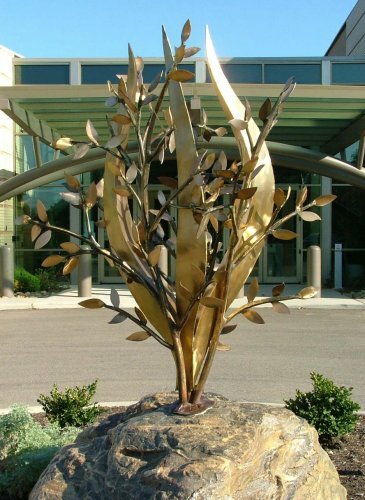 They wanted the feel of the location as well as bright rich colors . 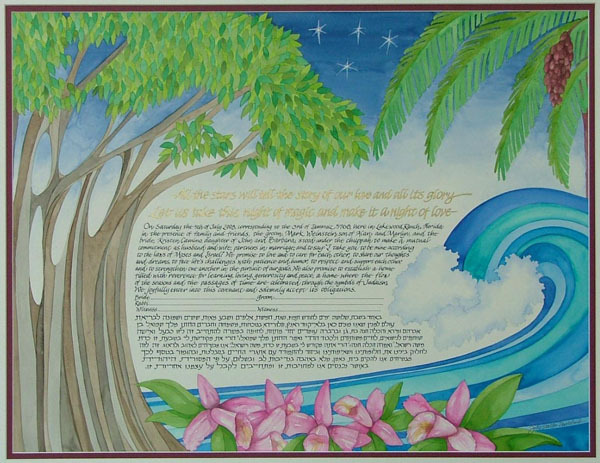 The banyan tree and the palm tree represent the area of their wedding, as do the orchids and the waves. 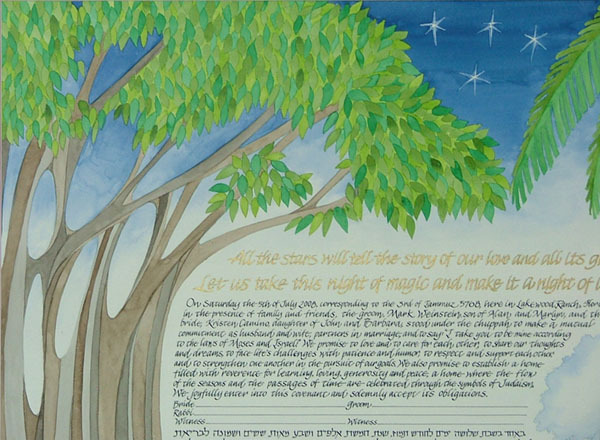 The two trees meeting at the top are symbollic of a Chuppah. 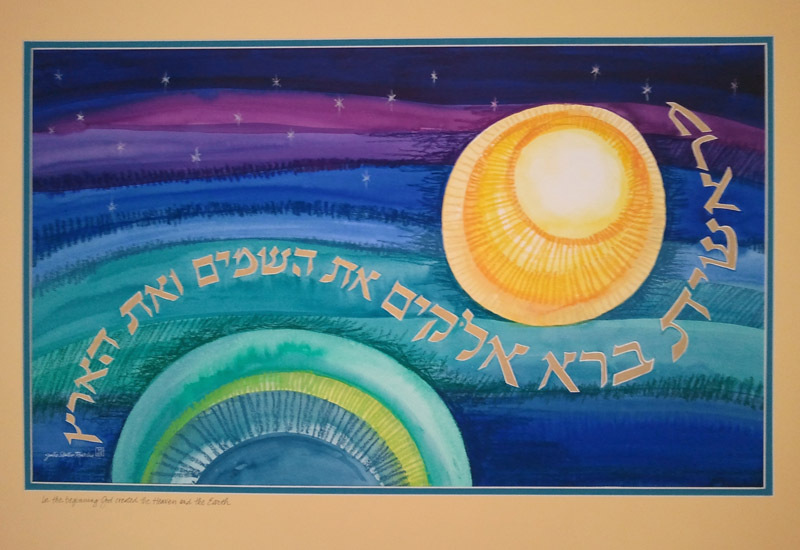 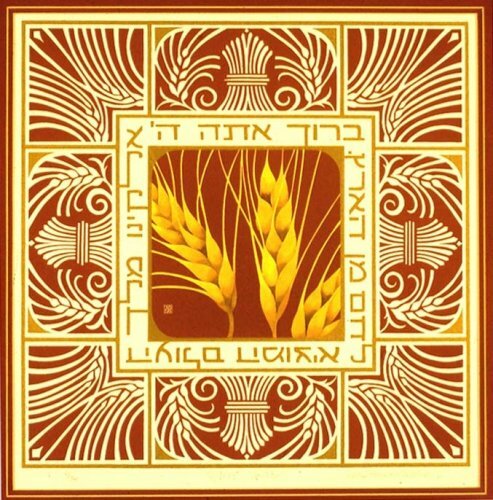 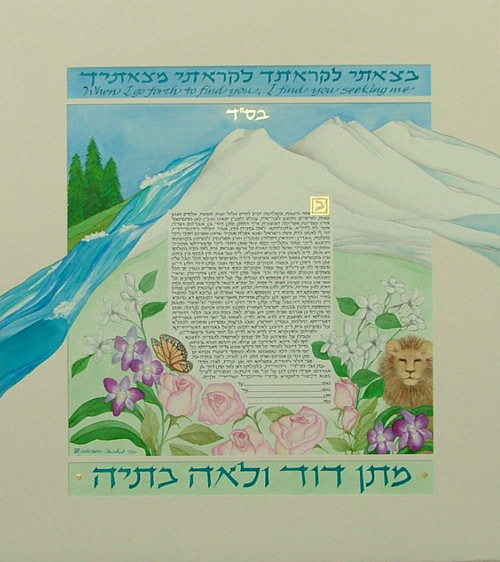 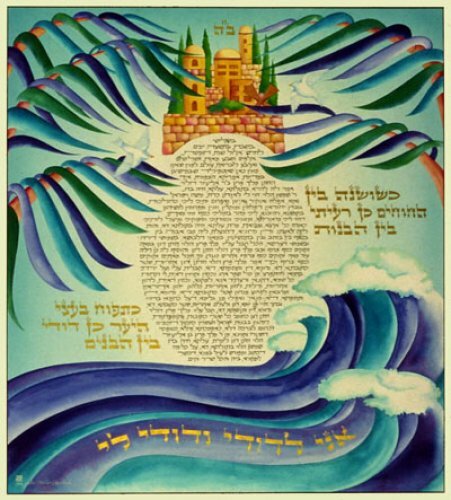 The text is done in English and in Hebrew, and the quote above the text is painted in metallic gold ink.